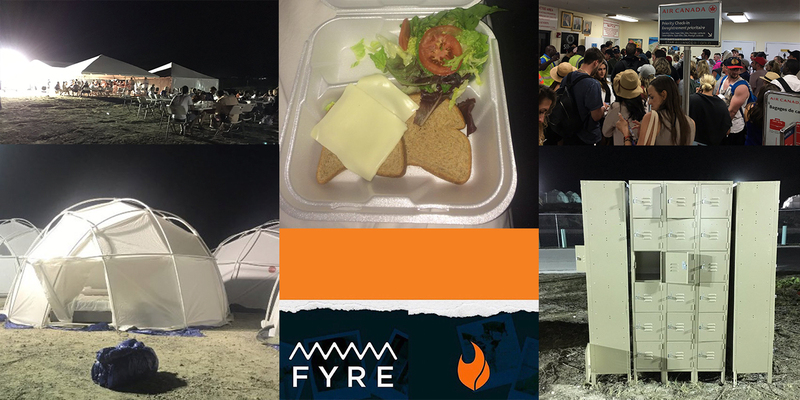 In the Wake of Fyre Festival Fiasco, Will the Effectiveness of Celebrity Influencers Take a Hit? Things did not go as planned at the first Fyre Festival. For a select few music lovers with wanderlust, Thursday was supposed to be the beginning of an amazing weekend, one filled with performances by Migos and Disclosure, booze and private planes. 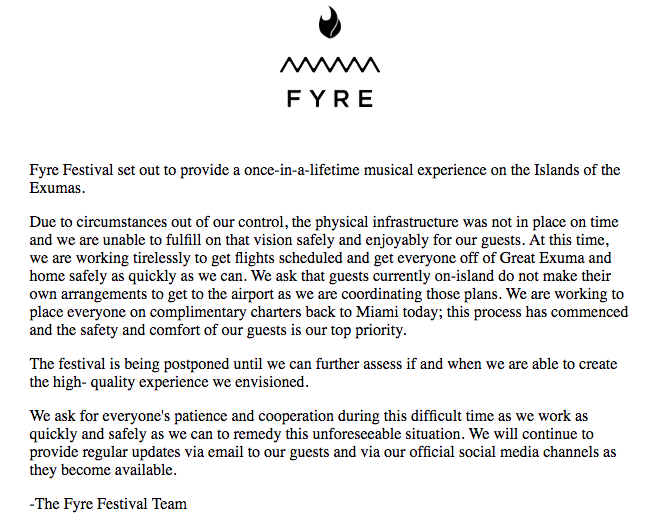 It was meant to be the first Fyre Festival, an event organized in part by rapper Ja Rule. But sadly for those who dropped thousands of dollars—seriously some people spent $12,000 on packages for the weekend—on a “once-in-a-lifetime musical experience,” things didn’t quite go as planned. “It literally looks like Katrina in the Bahamas,” Devon Wijesinghe, CEO of influencer marketing company InsightPool, said of the event, as photos from the Bahamas spread across Twitter showing the disastrous festival in action. The delectable, high-quality meals? Two slices of bread and cheese. Liquor flowing all weekend long? Non-existent. 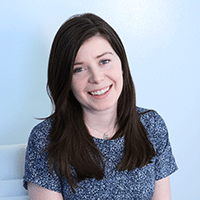 The cozy yet luxurious accommodations or “eco-friendly, geodesic domes” promised to attendees? Actually disaster relief tents. So, yeah. Not great for the festival, organizers like Ja Rule and celebrity influencers who promoted the event ahead of time. Late last year a group of famous models–from Emily Ratajkowski and Bella Hadid–ventured down to the Bahamas for a photo shoot of epic proportions to strike envy among their massive followers (Hadid boasts 12.4 million Instagram followers). Hadid was even featured in a promotional video for the event. Other celebs like Kendall Jenner (with her whopping 79.5 million Instagram followers) promoted the upcoming festival on their social channels. As photos from the event began to flood Twitter, the event posted a short note on its website, removing all other content from the page. The event has since been canceled and any attendees that managed to make it down to the Bahamas, some who have had passports and other possessions stolen, are trying to find their way back home. However many of the celebrity influencers who promoted the event so heavily have remained silent. Some, including Kendall Jenner, have removed any mention of the festival from their social feeds. Even event organizer Ja Rule had remained silent in the hours following the Twitter backlash but has since tweeted a statement. So what does this mean for the future of celebrity influencers working with brands? “What I think is going to happen is people are not going to trust what I call tentpole promotions from celebrities,” Wijesinghe argued.